Gwinnett Home Prices. Gwinnett - Price Strategies Sell Homes Fast. Gwinnett GA home prices - pricing your home to sell. 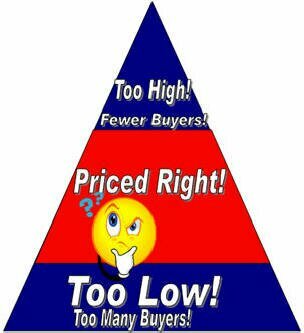 Price strategies to sell home or Gwinnett real estate fast. Set the right price to sell your home in Gwinnett, Dacula, Duluth, Peachtree Corners, Lawrenceville, Snellville, Buford, Suwanee, Lake Lanier, Hamilton Mill, Lilburn. PRICING YOUR HOME FOR SALE IN GWINNETT GEORGIA! Want to get the best price for your home in Gwinnett? Of course you do! So why take a chance with your most expensive investment? Hire experienced agents if you are selling your home in Gwinnett, Duluth, Norcross, Braselton, Lawrenceville, Dacula, Snellville, Lilburn, Buford, Sugar Hill, Walton, Barrow, Jackson, Suwanee, Grayson, Hamilton Mills, Tucker, Peachtree Corners, Forsyth, and Fulton counties! So how do you get the best price? Here is the answer! You want to price it to sell and you want to get as much as you can, and you don’t want to be greedy. So how do you settle on the best asking price? Pricing your home correctly from the beginning represents one of the most important factors in the selling your home. Our experience has shown us that if you price your home TOO HIGH, it may remain on the market for a long period of time - and could ultimately sell for less money than if it were priced properly from the start. Ellen & I Don't play pricing games when listing a home for sale in Gwinnett. We list our homes at the right price. Everyone benefits! This ensures that our listings sell in the shortest time for the highest price! We feel this is the best approach! Unlike other agents that will "BUY YOUR LISTING!" (Listing your home at a higher price even if it unrealistic, because the agent knows that you need to sell.) They know that your personal needs will dictate the necessity to reduce later. Within a few weeks of listing your home at the higher price, the agent will start approaching you to reduce the price. How mean! We feel that this is emotional blackmail!